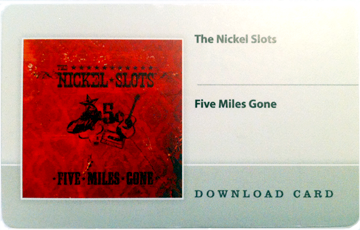 Download cards for “Five Miles Gone” are available at shows for $7. All 15 songs are compatible with iTunes and many other MP3 players. Follow directions on the back of the cards.